We’re excited to announce that we’ve made saving and investing even more accessible in the UK by launching our True Potential Investor app on Apple Watch. 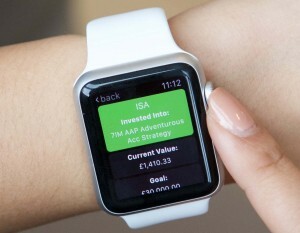 This technology is the first of its kind in the UK and allows Apple Watch users to track their investments and top-up directly from their device quickly and easily. The app also includes our world-first impulseSave® technology, which allows investors to top-up their accounts on-the-go from £1. With over £16m of new money invested via impulseSave® since launch and almost 40% of it £10 or under, we know that our technology has the power to turn spenders into savers and get everyone into the habit of investing for their goals. True Potential Investor is designed to bring a more strategic way of thinking to personal investing. Our goals-first philosophy allows investors to set financial goals, choose personal risk levels and select funds by accessing detailed information, such as performance and volatility. Investors can regularly view their progress against their goals and top-up to close any gap at any time, from anywhere in the world. Senior Partner, Daniel Harrison, said: “True Potential has launched another first with this leading-edge technology that can change the way people save and invest. With technology that people use every day, such as mobile phones and now smartwatches, we can get people out of the habit of spending on impulse and in to the habit of investing for the future. Technology such as ours proves that investing can be fast, easy and even fun. Now’s the time to invest. Download the True Potential Investor iOS app.